LESS is a Ruby gem which compiles the LESS code to CSS & extends css by adding variables, mixins, operations and nested rules. It uses the existing CSS syntax. So, it is very easy to convert current CSS files to LESS files & there is almost no learning curve. LESS is well-documented & source can be found here. All of these freeware applications have been in some cases, modified and trimmed down in size to allow them to fit on to a portable device like a USB drive or a portable hard drive. Rather than carrying a bulky laptop, you can carry all your applications and programs, your bookmarks, local servers, emails, passwords, graphic editors and favorite browsers with you anywhere in your pocket. What a great idea! 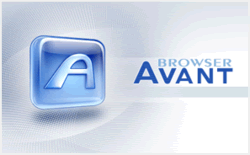 URL & Download : Avant Browser. Description : There does not seem to be a portable version of Internet Explorer, this is the closest I could find, and it is better. The layout was designed to be more flexible and ergonomic than IE. It even supports (the terribly) few IE addins and toolbars and the list of features and tools in itself are pretty impressive as well. OS : All Windows only. Ruby on Rails is a powerful web framework that helps creating web applications easier, faster & writing an organized code. There are lots of websites that use it including popular ones like Twitter, Basecamp, AboutUs & many more. Also, Ruby on Rails powers some amazing open source web applications which you may want to use directly or improve further.